Do you want to get all of your shopping done in one place? 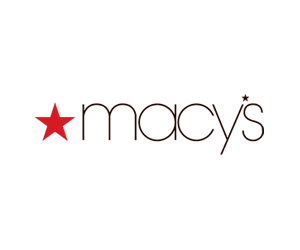 Macy's has a wide array of style solutions for your home and your closet and the entire family. Find great deals on the top apparel labels like Ralph Lauren, Burberry, Fossil, Guess, Bulova, Nine West, Tommy Hilfiger, Diesel, Kenneth Cole, Yves Saint Laurent, Vera Wang, DKNY, Dolce & Gabbana, Gucci and many others. Bonus Reward Points earned in the Bonus Points Mall are subject to the Bonus Points Mall Terms and Conditions. Bonus Reward Points cannot be earned on the purchase of gift cards, gift wrapping, on GST or on delivery and shipping charges. Bonus Reward Points may not be awarded on any voucher, coupon or discount code that is not displayed from the Bonus Points Mall. Bonus Points will not be earned on cancelled, refunded, or amended transactions. Bonus Reward Points are not awarded on bridal registry items, gift certificates, adjustments, reorders, gift cards, mattresses and furniture orders or sales from partner sites who have their product listings linked to Macys.com. Some retailers have their own policies and restrictions. Before shopping, please ensure you review the Special Terms of Macy's (above) for further information. Complete your purchase in one session and without leaving Macy's. Do not click on any bookmarks or advertising banners or links once you leave ANZ Bonus Points Mall. Restrictions: Offer valid from 5 PM AEDT 16th April to 5 PM AEDT 23rd April. Restrictions: Exclusions apply. See offer details. Offer valid from 5 PM AEDT 16th April to 5 PM AEDT 23rd April. International shipping is calculated based on a number of factors including the desired service level (Standard or Express), the number of items you're purchasing, the weight of the items and the destination country/region. Most in-stock items generally arrive within 4-13 business days after your order is received. Since delivery timeframes vary depending on destination, a more accurate estimate will be provided during checkout. All prices stated are in Australian dollars. Shipping, duties and taxes will be calculated at checkout, where applicable. We accept all Visa, Mastercard, American Express and Macy's credit cards. If for any reason you're not satisfied with your purchase, please email internationalcustomerservice@macys.com and we'll provide you with further instructions on where returns should be shipped, and the amount you will be refunded. Refund amounts for returned items will be credited to you by Borderfree in the same currency and using the same exchange rate as your original order. Returns must be made within 180 days of purchase. Please note: shipping fees are not refunded for preference return. Unfortunately, items purchased for international shipping may not be exchanged. Please visit Macy's.com website for more details.